Consumers are busy, mobile and want selfie worthy content. They have a changing emotional context and marketers need to understand those changes in order to create relevant and successful events. 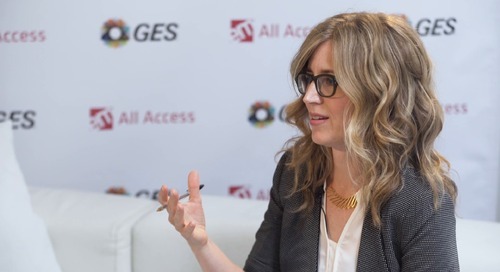 This episode of EM All Access focuses on connecting with consumers—about using storytelling, how to design an experience that unfolds and making events socially responsible. Hey there, event marketers. Jessica Heasley here. Welcome to another episode of EM All Access where we get you up close and personal with some of the biggest brands, the most interesting events, and the most innovative marketers. 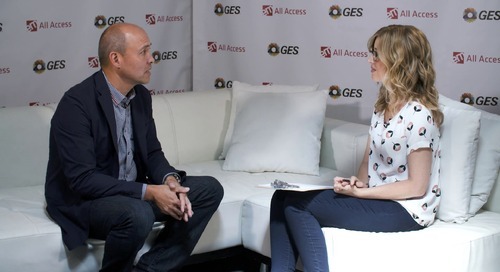 I spoke with GES Chief Creative Officer Eddie Newquist about using storytelling, how to design an experience that unfolds and making events socially responsible. Let’s listen in. So let’s talk about some B2C trends. What are some things that you are seeing really impacting the event space right now? Technology: And I don’t typically talk about the technology for technology’s sake because it’s readily available. We all have computers in our pockets. We all have telephones, we all have cameras, etc. So I always try to go a little bit higher level and I talk about interaction and social responsibility. And the reason I bring up those two is if you focus on interactions at your event and with your consumers, it makes a world of difference. And we have spoken before about fanatics and about people who are passionate about product. And you really want to make sure that you can get into the mindset and the emotional context of your consumers or whoever is attending your event and really deliver for them. And they’re looking for selfie-worthy moments. They’re coming to an event because they want to be somewhere. They want to enjoy this. And if you look at the consumer side, where you’ve got things like Comic Con and you’ve got things like what Disney does with D23, those are very high-level. But everybody wants to have that sort of place to go and to celebrate. And so if we think about interaction and then create some selfie-worthy moments or opportunities to do some Snap Chatting or Instagramming about something special, then you’re going to check that box of interaction and you’re going to have a great success. Social Responsibility: If you look at millennials today and your future customers, they care. They all care. And you want to make sure if you’re putting on an event in a particular city that might have to do with food, or it might have to do with recycling, or Chicago which has done a great job with trees, there’s a lot of things you can do to help make your event be socially responsible in the community where it’s being held. And we focus on that as well because consumers—number one—demand that, they’re recycling as well. It’s part of our lives, it’s certainly part of a lot of the millennials’ lives. So it’s important for people to give that some consideration and real thought because if your event is a green event, it’s going to mean a lot more to people than if it’s not. 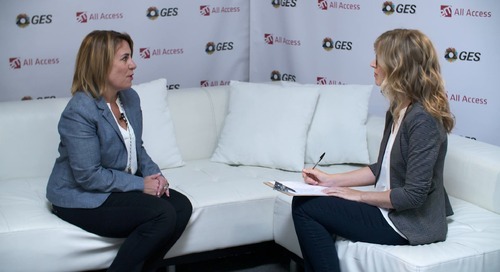 So one trend—or is it maybe even thinking broader and bigger than trends—but is there something that GES really hangs its hat on when it comes to thinking about being responsive to what attendees want out of events today? A lot of people who are about to do an event will initially come to us or talk to us about “we.” “We” think we need this. “We” think we need that. It might be a stage. It might be registration. How do we do ticketing? So we’ll certainly assist in any way that we can, but what we really try to do is introduce them to the concept of storytelling, and thinking about the story that they want to share, or the stories that they want told as an attendee leaves. And if you start there just from a brainstorming standpoint —you can do this on a whiteboard, you can do it on chalk if you want—but if you brainstorm there and really think about it in that way, then all sorts of things flow through it. So you might have a corporate message you’re trying to present or a corporate story. You might want to do that on a big stage, and you might want to do that with a great video. But if you’ve got a product launch or a sort of a sub-story that’s important for that particular event, you might highlight that through music, you might highlight that through a reveal. So if you think about it from a story standpoint, how that story unfolds for your guests who are giving their energy and time and often times a lot of money to go places, then you are really showing how much you care and you’re going to put everything into an emotional context for them as opposed to leaving them guessing—was that important? What should I do about this? So we really try to make sure they start from an overall vision standpoint and really focus on the storytelling and everything else comes. The support, the technical, the equipment, the lights, the audio. All the important things for an event—registration, etc. But those things are not as important as your message and what you are trying to convey. So we really like to focus on that. We think it brings a lot of success. I would imagine with all of the focus on content, storytelling emphasis and staying true to that throughout the process could only serve your content in the best of ways. Well, that’s right. So if you do it well, then people will easily repeat your story. And repeat your message hopefully if it’s been delivered well and it’s received well. So you’re absolutely right, social media will light up with hopefully exactly what you’re hoping to leave attendees with. And there’s great examples on just the consumer side and sort of fanatic side and you can learn a lot from those. Even though your product—it might not be in entertainment, or your product might not be a new cell phone launch—whatever it may be, you can still learn a lot about how those things are done and the care that a lot of companies, a lot of leaders in companies take and realize what those best practices are and pull them into your event. And that’s what we really want to do. Start with the vision of the event and design the story and the sub-stories from there. As Eddie said, when you do it well, the consumer will accept your message and repeat your story. I’d like to thank Eddie for joining me and you for watching. Learn more about GES’ top influencers and problem solvers though our in-depth video series on thought leadership. Eddie Newquist is well known as an award-winning creative executive, designer, filmmaker and inventor, three patents and counting! He is best known for his work on some of the world’s most successful entertainment franchises including Harry Potter, Cars, The Terminator and Jurassic Park. His motto is that no design challenge is too great or too small to conquer. 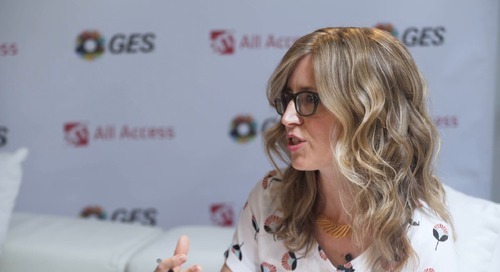 Take a look at this week’s EM All Access episode focusing on evolving your events. In this episode, learn about the rise of content, the best ways to harness it and where this red hot trend is headed. 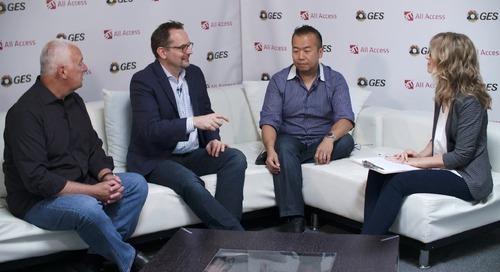 Today's eposide focuses on how GES is evolving its corporate event offerings. 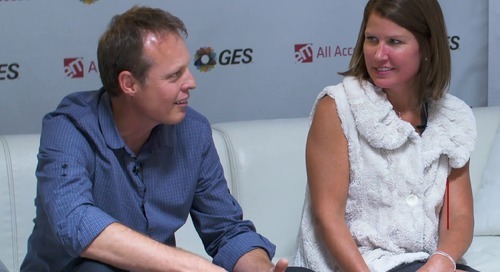 This EM All Access episode focuses on great agency partnerships—what makes them and what maintains them. This episode focuses on the company’s new Traffic Builders initiative. 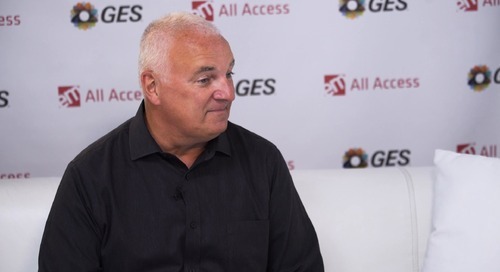 This episode of EM All Access focuses on the impact of technology on events and the continued push to link events to cloud technologies. 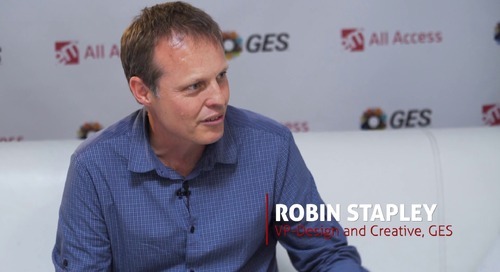 This week’s EM All Access episode focuses on the role of design—what’s changing and how events are evolving and continuing to combine experiences and design elements. 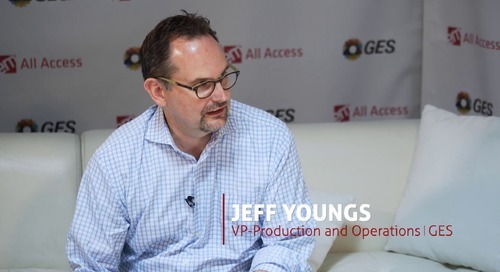 In this episode of EM All Access, learn about creating events that are shared and shareable, allowing attendees to choose their own experiences and new technology tools for engaging target audiences. 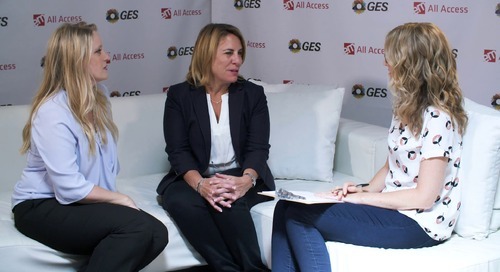 This episode of EM All Access is all about the evolution of the general session—how the format is changing and what’s next. 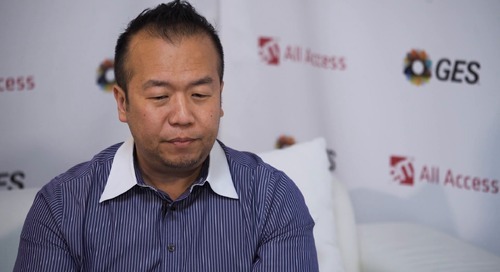 Take a look at this week’s EM All Access episode focused on amplifying the event experience—increasing reach, driving shareability. Today's episode focusses on understanding your brand and activating it at events. 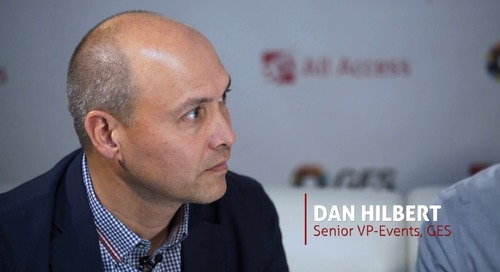 This episode of EM All Access it about the shifting strategies, shrinking turnaround times and the orchestrator model. Every B2B event is attended by consumers—and all consumers are buyers who need to be informed about products and services.